Students fold origami cranes, which symbolize luck and longevity, to donate to Cranes for Cancer. 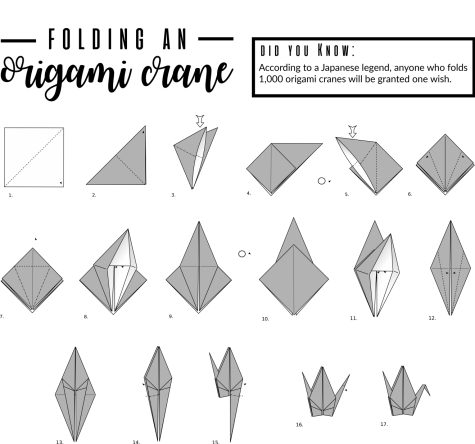 According to a Japanese legend, a person who receives 1,000 origami cranes will have one wish granted. 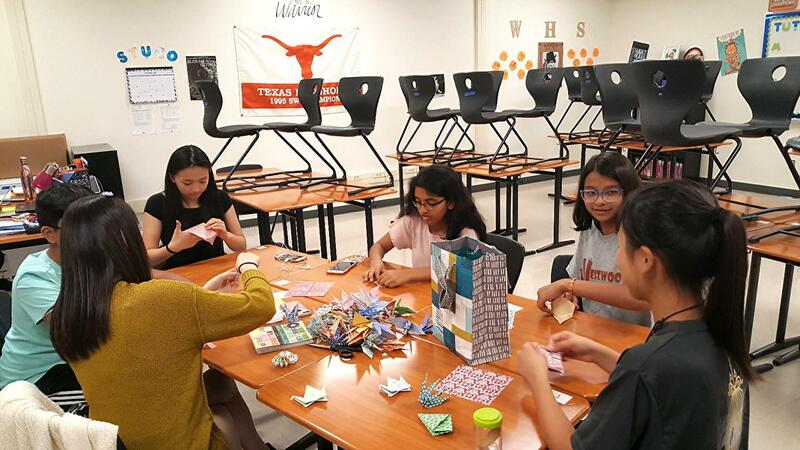 In hopes of this, the Student Council’s Community Service committee joined forces with the Cranes for Cancer organization to make and collect their goal of 300 paper cranes on Thursday, Sept. 13. On the day of their meeting, the volunteers were able to productively fold many paper cranes, but there is still a long way to go to achieve their goal. The Community Service committee will be collecting paper cranes in room E2214, on Wednesday, Sept. 19 and Friday, Sept. 21 from 8:40-9 a.m. In exchange for donating 20 origami cranes, Student Council will be awarding one hour (with a maximum of three hours).